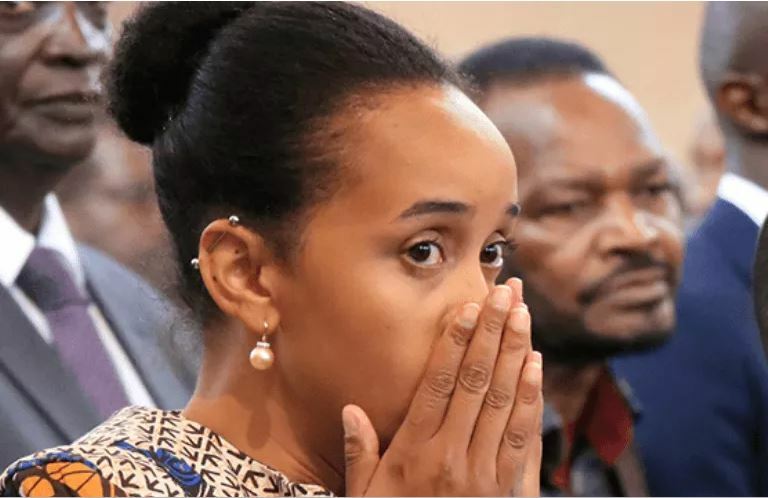 Migori Governor Okoth Obado on Wednesday paraded his wife and children as he spoke for the first time on the brutal murder of pregnant university student Sharon Otieno. At the hastily convened press conference at a Nairobi Hotel, Governor Obado “categorically” denied involved in what he referred to as “brutal murder of Sharon”. Mr Obado asked Migori residents to continue praying for him. He also asked Kenyans to avoid “medieval justice” and let police complete their investigations. He was flanked by his wife, a daughter and a son. The governor remembered to introduce his family after reading the prepared press statement.